Do you want to increase your avatar count, but find your time consumed with restocking the latest unbuyable? Or are you simply a Neopian who wants to try and attain a game avatar without finding yourself devoting hours and hours of time that you know you can't really spare? This guide was created in mind for the average Neopian who wants to attain a sparkly new game avatar but do not have enough time to completely devote themselves to the task. During my quest for flash game avatars, I have found that some game avatars are much easier than others because you can just add them to your dailies, send in a score three times a day and find yourself with a new avatar without too much effort at all. Of course most game avatars I find are attained with a combination of skill and luck, but both can be attained by trying on a regular basis. So, to the games! The approximate times represent how long a game would last if you were to get around the avatar score, and I did not write up the instructions on how to play because you can do that yourself in game. At first, this game may seem difficult because you find yourself having two petpets to save, they are going in different directions, you try to save both, and you lose two lives instead. 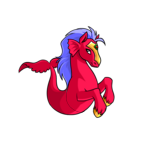 The key to getting this avatar is the ability to recognise the speed at which the petpets are going, because if you have two petpets coming towards the edge, you should save the faster one first (if you know you can get it), and then the slower one. You also need the ability to learn to cut your losses. If you are in a situation where you know you cannot save a petpet, let it fall rather than lose more than one life. You should also try and have at least 50 points before losing a life each time as a general goal, although I find it more comforting to have at least 2 lives left at around the 200 points stage. Feed Florg is a quick game that also has a good neopoint ratio, making it perfect for your dailies. All you need to attain this avatar are the skills mentioned above, as well as a game where the petpets come in 'bunches' and therefore are extremely easy to save as well as helping you to get the points faster. Just don't get too cranky at Florg if he takes his time eating his meal. This one can be a little tricky, but with the right amount of luck, it is doable. Firstly, type in catapult when you first start for a free power up. If you want more power ups though, you need to hit a few bullseyes. I would recommend restarting until you get the fire hoop power up (which doubles the score of any arrow that you fire and hit), or the inverse power up (which causes the bullseye to be on the edge of the board and the old bullseye spot to be worth nothing). However, if you are confident with using the other power ups as well, feel free to. The next important factor to consider is how you are going to aim and fire. There are two main methods for this: you can either keep the aim still and change the power of your shot, or you can move your aim around first and then fiddle with the power. It is easiest to fiddle with the power only, although I'm so used to fiddling with the aim I cannot change now. The key to getting this avatar are the balloons, as if you hit one and land your arrow on the board, you get quite a lot of points. If you combine this with the fire hoop power up and maybe the inverse one and hit a bullseye, you can quite easily get the avatar score with little skill in this game. It just comes down to choosing to use the power up at the right time. The neopoint ratio for this game for this game is pretty good if you get a high score, not so much if you can barely manage 10 points or so. Practicing regularly and managing to hit the board at least 8/10 shots will help a lot in trying to get this avatar for the next time you get a balloon with the fire hoop power up in hand. First thing to remember in this game – piecrust. Typing that will completely refill your bar of ammo so you can continue shooting Chia clowns to your heart's content. Basically, you should aim to try and hit something every time you shoot, and if you see any ammo or time powerups, ALWAYS shoot them. You will run out of time most of the time when you are playing, so try and aim to use up as much ammo as you can within the time limit. I use a four shot strategy – arms, legs, head then body. Getting the avatar in this game requires not just skill in shooting, but luck with the time powerups, because no matter how good a shot you are, without time bonuses this avatar is really hard to get. I have also written a more in-depth guide for Carnival of Terror in a previous issue of the Times, so feel free to check that out as well. This game also has a nice neopoint ratio. You should know the values of each part you can shoot, so you can choose shooting a part worth more over one of lesser value if you need to. Try not to shoot the pies flying at you either, unless you have zero time left and you might as well shoot something. If you are low on health, just use the custard code. With practice, you will find yourself with that lovely game with plenty of powerups that will give you the avatar. This game may seem difficult at first, as the moving boulders, boats and stalactites may seem overwhelming. However, once you get used to the speed, you find that the speeds of the boats remain constant, and the boulders follow a certain pattern. You can use this to predict where they will move. Basically, your best friends in this game are the gems. You don't have to take them back to the entrance like the petpets and therefore they are easy points. Various guides have recommended restarting the game until you have four gems, but I find it is still okay to keep going even if you haven't because you may get a tonne of nice gems in the later levels. You get no time bonuses for speed, so take your time. 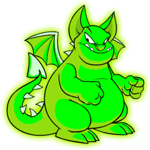 As a guide, make sure to complete level 1 without losing a life, level 2 without losing more than two (because I think it is almost impossible to get all the petpets back within the time limit), and for level 3 don't let the crazy boulder movement scare you into losing the rest of your lives when you are this close to getting the avatar. Your biggest enemy are the stalactites, because you may be inches away from delivering that petpet safely, or stuck on a boat and BAM! You lose a life. Beware of them, and don't let them frustrate you as they shake like mad at the top of the screen and refuse to fall! And turn off the music. It gets extremely stressful after a while, as I found out the hard way. This game also has an excellent neopoint ratio especially if you get close to the avatar score. 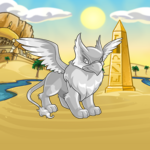 This game is all about being careful, but this avatar can be easy if you end up with excellent luck with the gems and petpets that are closer to the entrance. Approximate time per game: 2 minutes if you are lucky, but usually at least 3 minutes. The time for this game varies because of the wide variety of neggs that you can pick up. Make sure you play this in gravity mode (type in super extra hyper gravity mode without the spaces at the main menu), as the neggs are worth more than any other mode in the game, and you can get a higher score faster. As a general rule, during the game you should stick with one direction – clockwise or counter clockwise. This way, you are less likely to run into your tail when it starts to get long. Getting the avatar the 'easy way' comes down to picking up either a fish, rainbow or power negg and simply picking up a few more neggs until you get the avatar score. You can compare this to the harder way, where you have a nice string of yellow and blue neggs, and suddenly getting the avatar score is not only harder, but also more tedious. However, you cannot expect that simply getting a fish negg means you will get the avatar. You still need to practice dodging the red neggs, getting those fickle neggs hiding away at the corners of the screen without touching the walls, and understanding how the gravity in the game works. This game is a popular daily and hands out a nice amount of neopoints. If you keep playing, not only will your negg hunting skills increase, but also you will surely end up with a nice negg in your game that leads you straight towards the avatar. The key to attaining this avatar is collecting the coin and diamond bonuses on every level, because simply finishing a level with plenty of time left will not get you enough points. The coin bonuses are worth twenty and the diamonds are worth fifty. The diamonds don't appear in the game until level 3, but as a general rule, try and collect 4-5 coin bags per level and any diamonds you see. You should also get familiar with the layouts of levels 1-6 because once you reach level 7 the game gets much harder and you will want to get the avatar score without needing to finish level 7. In levels 2, 3, 5 and 6 it is necessary to walk through the equipment and lose some health to reach certain areas on each level. Also, if your health is between the H and E you will have hearts appearing instead of diamonds, so you will want to use the code scrap to refill your health bar once per game to ensure you get diamonds appearing instead of hearts. Getting the avatar is basically down to the coins and diamonds you can get, and whether or not they appear right next to you or in that awkward spot between an equipment crate and a bandit. Even if you are nowhere near the avatar score, you can still quite easily get a lot of neopoints in this game. With a bit of practice and a game abundant with diamonds and well-placed coin bags, this deck-swabbing avatar can be yours. By adding these games to your dailies and practicing regularly, you will find that your scores will be getting higher in no time! Even if it takes longer than expected, don't give up because if you keep trying, you WILL get these avatars, no matter how busy you are. Nabile languidly stared out her window into the courtyard below, while she wondered where Jazan was that day. She really hoped he wasn't tracking Hanso through Qasala's sewers again.